21 Dec Post by Whitney Zed Filed under The Gorgeous Lifestyle. 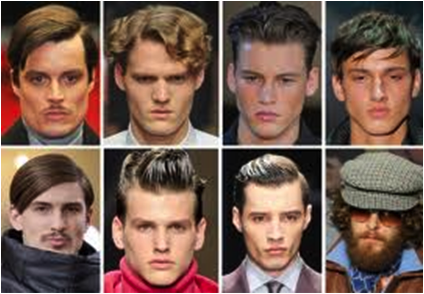 Tagged individuality, men's hairstyles, men's style, The Great Gatsby. The Great Gatsby, F. Scott-Fitzgerald’s fictional character, carried impeccable style presence, and Robert Redford brought the character to life in the 1974 original film version without fail. The story unfolds in the fall of 1922, post WWI, during the celebratory roaring twenties, which presented a manly approach to fashion, as well as the first true opportunity to dress for individuality. The progression of menswear peaked in the 1920s and entered a modern era. New, natural fabrics and closures became available. The improved quality of clothing raised men’s desire for a grandeur presentation regardless of economic status. Hats were worn in various styles, and morning suits and tail coats were the status quo. Numerous shirt and pant cut options became available, as well as the trouser cuff comeback. With considerable style combinations available, menswear became diverse and unique. Men took pride in their overall appearance, including their hairstyle. It was popular to wear it smoothed down, parted on either side, longer in the front, and possibly shaved at the neck. Beards and mustaches made a brief appearance in the 20s social scene, until it was quickly realized that facial hair had a tendency to make one look older. These classic styles were deemed timeless, and they were reintroduced on runways in Milan this fall. The 1930s to 1950s continued to be prominently classy decades for men’s fashion, day and night. Suits remained the preferred standard, until the 1960s when men and women flocked to discover their groovy, casual, selves. It is inspiring and motivating for not only women, but also men, to take pride in their appearance in and out of work, and for formal settings and informal occasions alike. Everyone has the ability to dress for success, not only for the job that is wanted, but also for the life that is wanted. 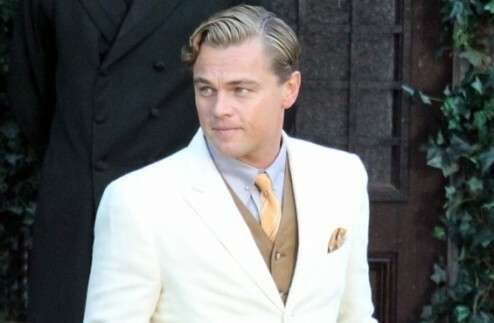 The stylish Gatsby film remake premiering in Spring 2013 will be a great source of inspiration for men to polish up their style and re-emerge into the spotlight.